If you’ve skied at Durand Eastman Park in the RXCSF era, you have Bill Salminen to thank for your tracks. A longtime advocate for North-side skiing and one of our most dedicated volunteers, “Dr. Bill” (as he is affectionately known to Durand regulars) has been the literal and figurative driving force behind RXCSF grooming efforts at the park. 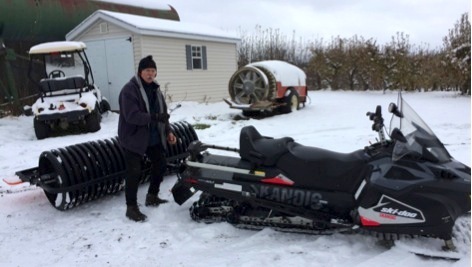 When Dr. Bill learned that RXCSF was given permission to start grooming at Durand, he got in touch with Brian Willemsen who was heading up a small group trying to get the necessary grooming equipment – after discussing the needs, Bill and his wife Carol decided “problem solved” and donated a new Skandic Ski Doo snowmobile, Tidd Tech Roller and groomer for RXCSF to use at Durand. 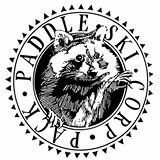 Before long he assumed the duties of lead groomer at the park and has been instrumental in keeping the ski trails groomed, the equipment maintained, fresh tracks skied-in, and the ski reports updated for the last 5 years. Dr. Bill has decided to retire from grooming activities this year, and the Rochester cross-country skiing community will surely miss him – but we plan to keep building on his legacy at Durand and hope to see him out there on skis! If you’d like to send Dr. Bill and Carol a few words of thanks and well-wishes, send them to the foundation by email or regular mail (RXCSF, PO Box 482, Mendon NY 14456) and we’ll pass them along to him.